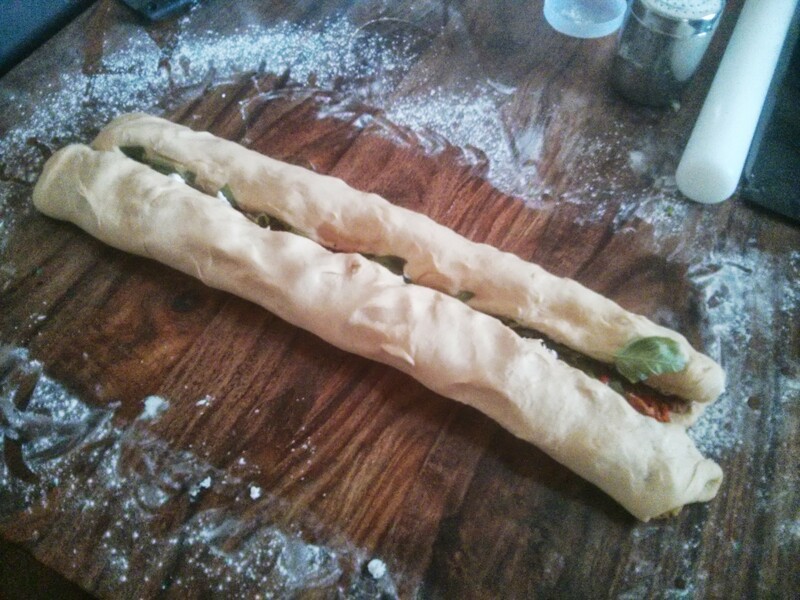 It’s The Big Lunch today in our street, so I’m making a brioche crown and my fig rolls for it. I’ve posted about this before, but this time I’ve got the full step-by-step pictures. Shame I messed up and forgot the egg and parmesan glaze at the end… but that’s what happens when you try and bake too much at the same time! 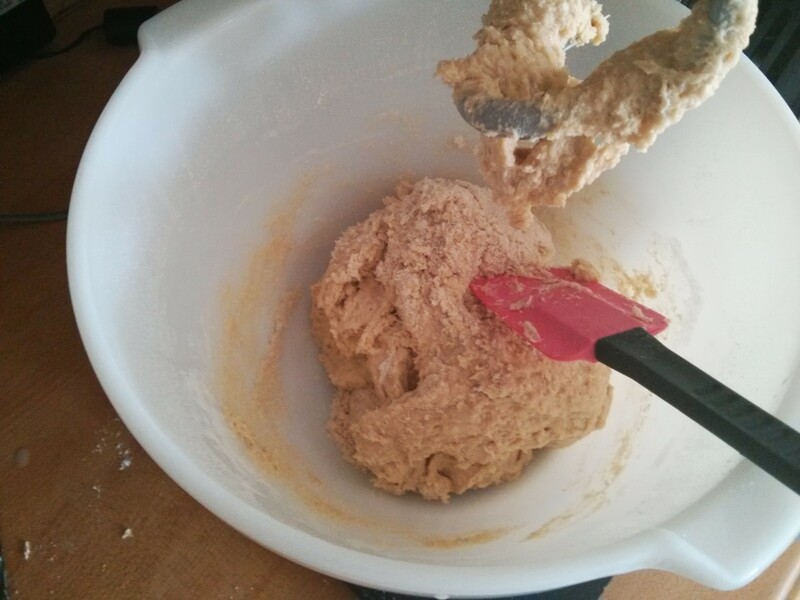 Like all my bread since I got a mixer… this is done in the mixer! 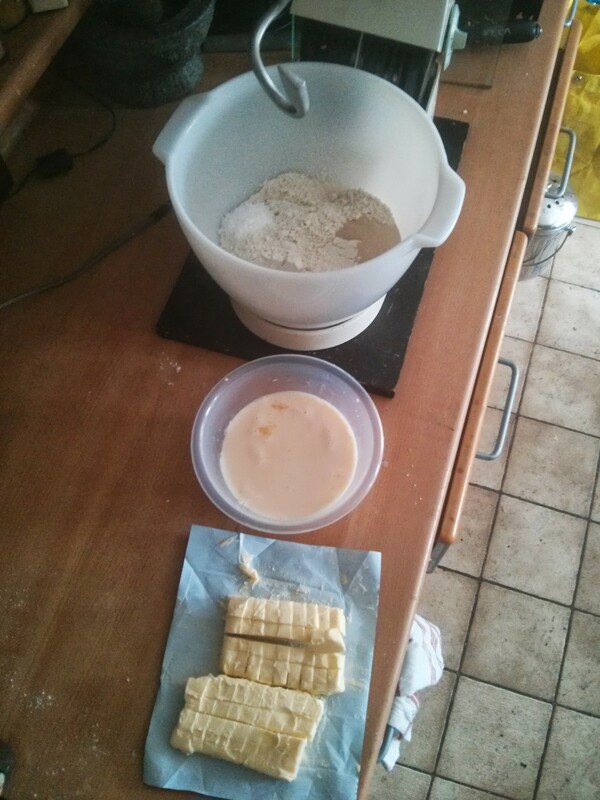 Flour goes in the bowl, then salt and yeast on opposite sides (as salt retards the yeast’s fermentation if you put them together) then whisk egg and milk together, and add to the bowl. 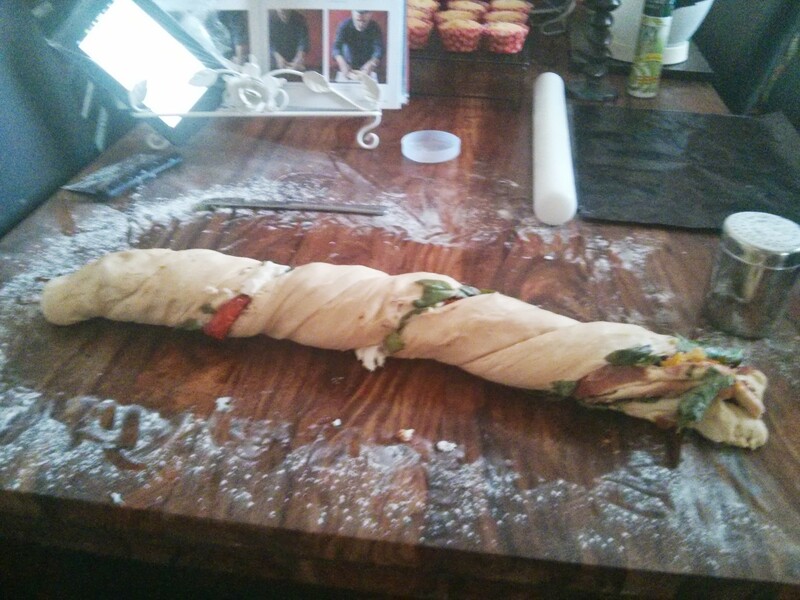 This all gets mixed together using the dough hook, stopping occasionally to scrape things down. 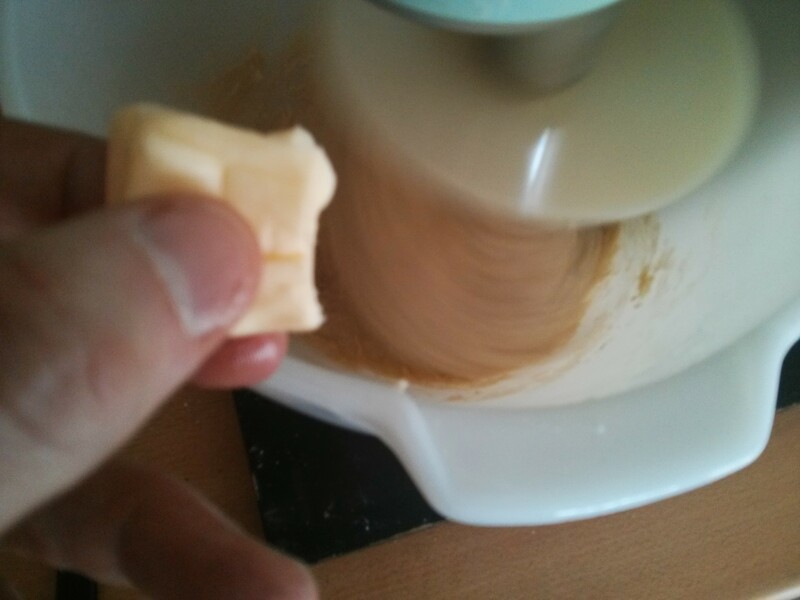 Once it’s mixed together you start adding the butter a small piece at a time while the mixer runs. 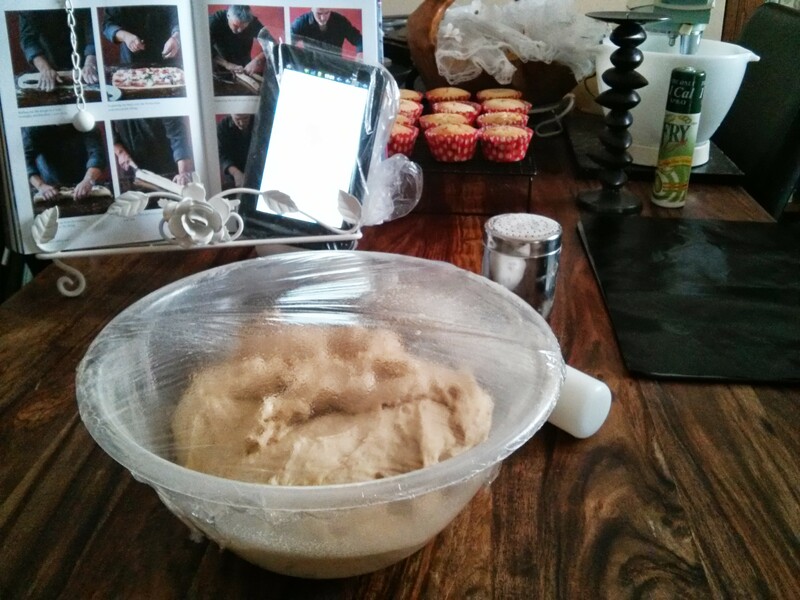 Let each piece work into the dough before adding the next, and by the time you’re done it’s all kneaded together and ready to rise. 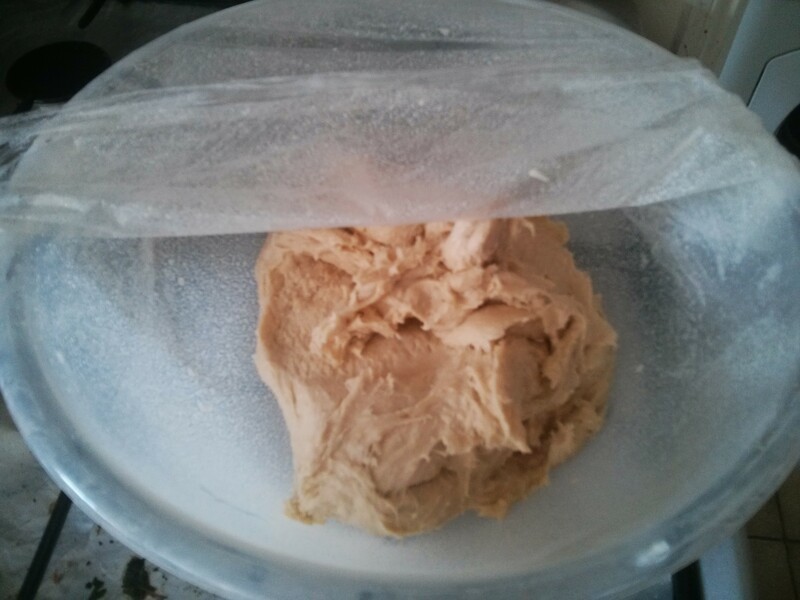 The dough goes into a large, oiled bowl, and is covered with oiled cling film. 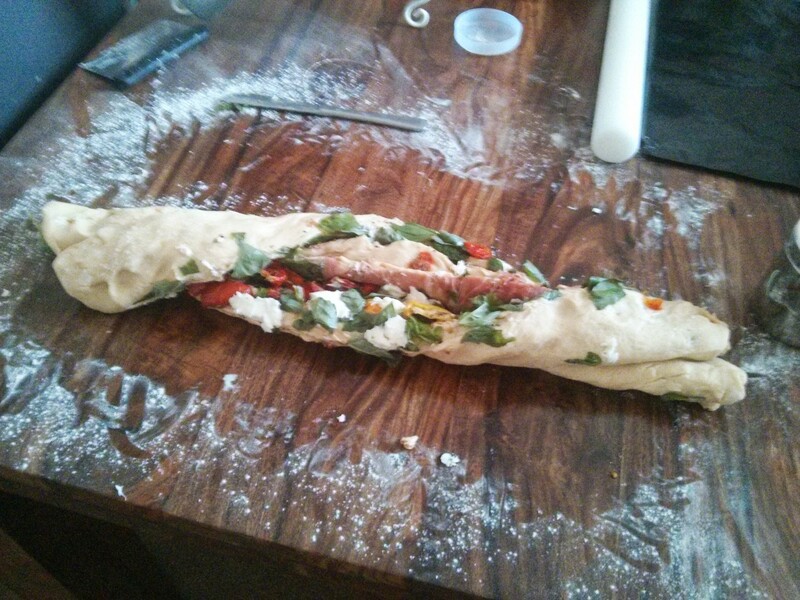 You need to oil or the dough sticks to everything. I use FryLight oil spray to do this (other oil sprays are available. Probably). After the dough has doubled in size (the book says an hour, but as we didn’t have the radiators on it took nearly two hours) it’s ready for the complicated making of the crown. 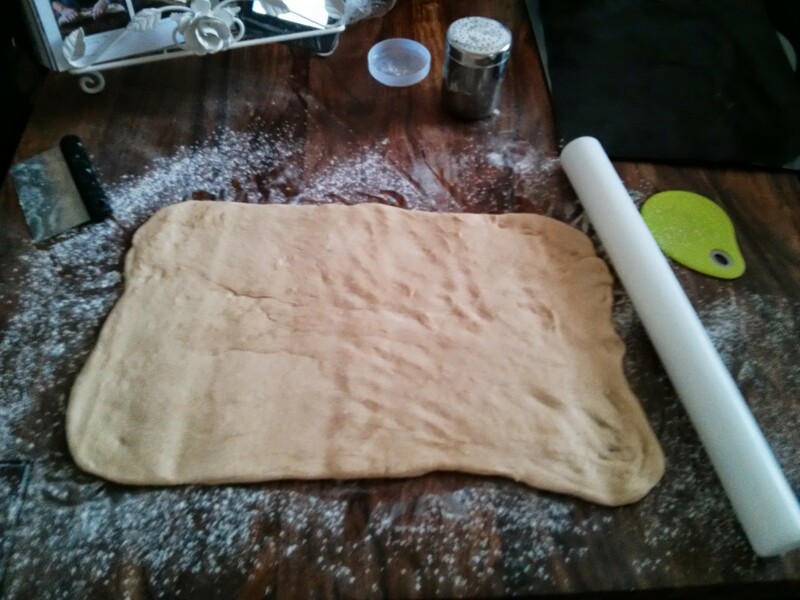 Start by rolling out the dough to a rectangle shape on a well floured surface. 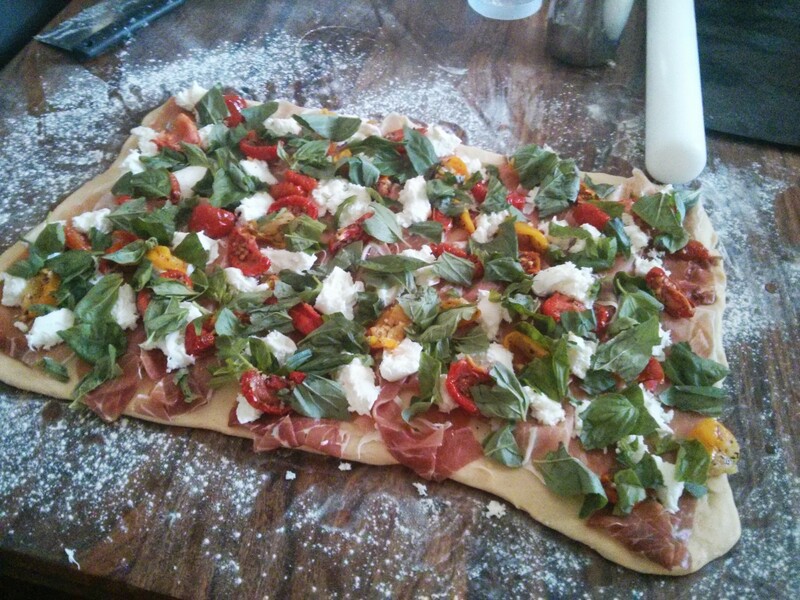 I started with the ham, then tore bits of mozzarella over it. The sun-blushed tomatoes I dried out as best as I could on kitchen roll before adding. Finally I tore up basil leaves and sprinkled over. 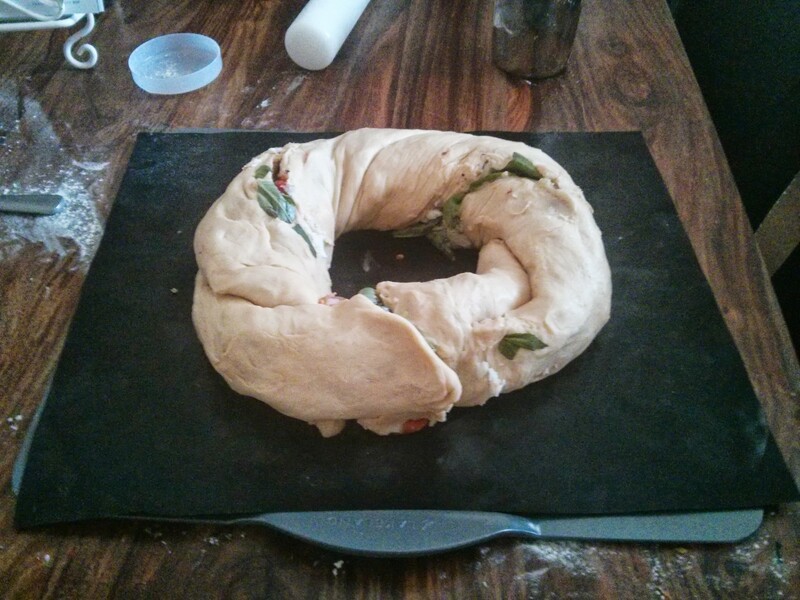 Now it starts to get tricky… Start by rolling the long sides into the centre. Then I move them together, and twist together at each end. 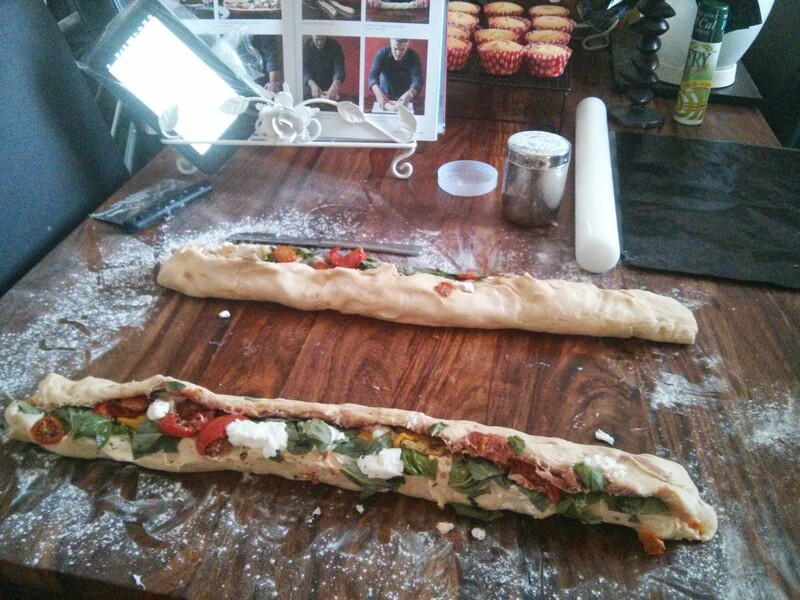 Paul Hollywood shows this being done in the air… but I think this is camera trickery! This then gets formed into a circle on a lined baking tray. 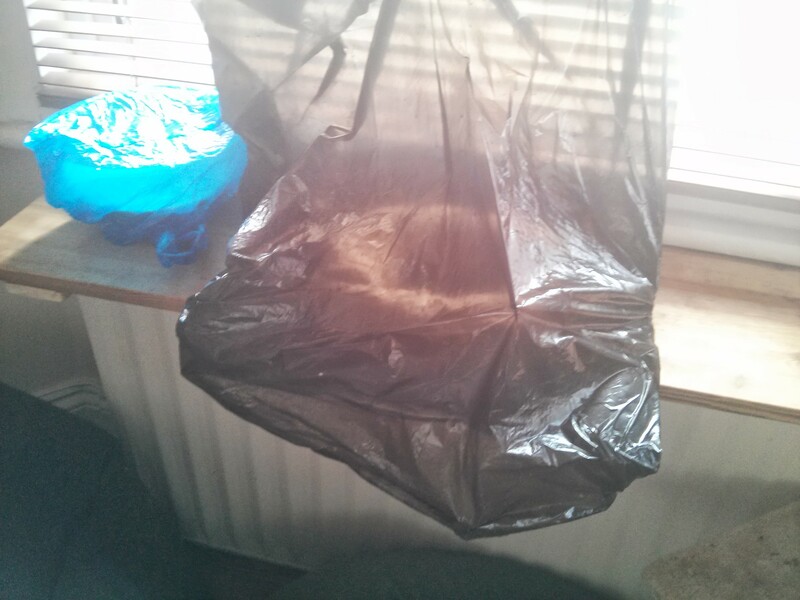 Then I oil sprayed the crown before covering it in a bin bag and leaving to prove for an hour. After proving… your supposed to egg wash it and then sprinkle with grated parmesan. I forgot… and so after cooking (200c fan, 25mins) you’ll see I have a dry crust, instead of the shiny glazed crust I should have had. 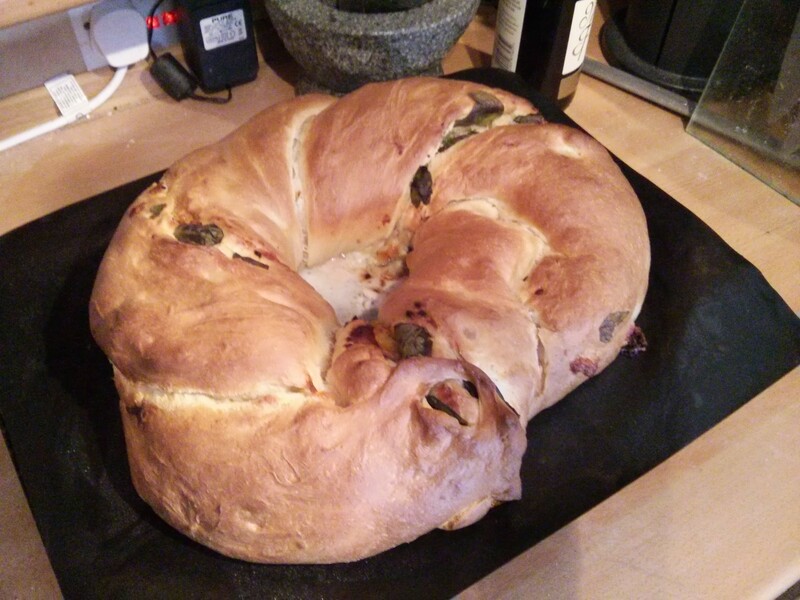 We cut into it before taking it down to The Big Lunch, and it looks good! 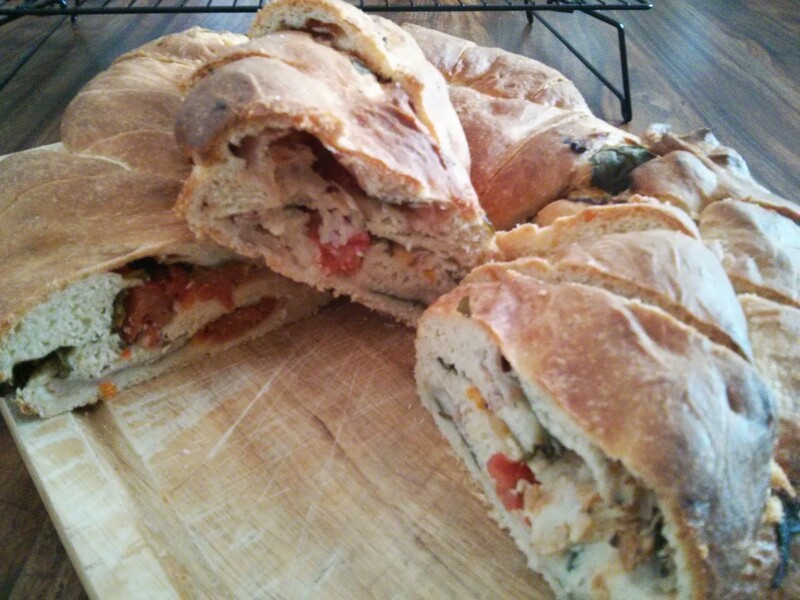 Looks rather complicated to make but your finished one looks great. Well done. Hope your neighbours enjoyed it.